Nakamura Tokichi in Uji Japan. This is the honten (main shop). 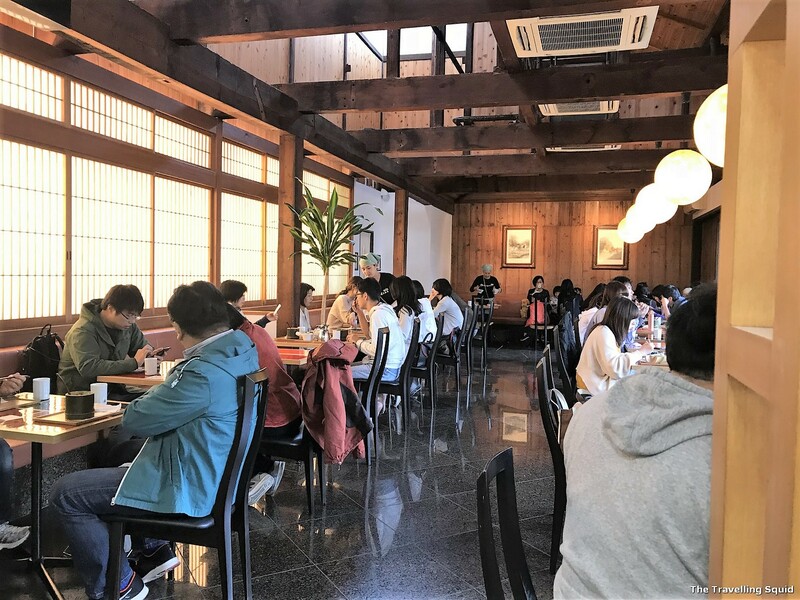 We visited Uji during Japan’s Golden Week, and thought that traditional tea house Nakamura Tokichi would be an ideal place for lunch. 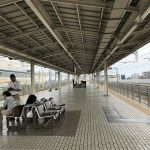 It was located a 5 minute walk from the railway station, which made it really convenient to get to. Little did we know that there was a four hour waiting time when we got there. We had no choice but to indicate our names on the wait list, and return to see how the queue had moved. 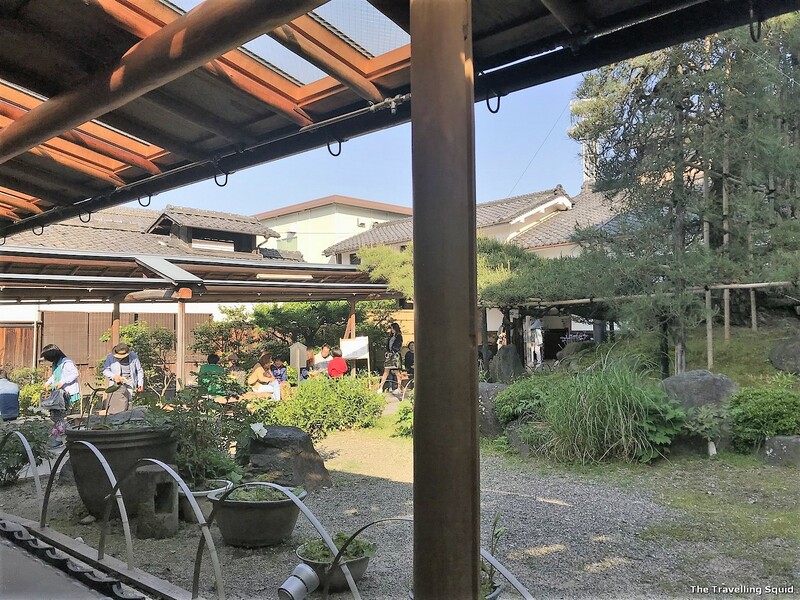 In view of the four hour wait, was it worth eating at Nakamura Tokichi in Uji Japan? My short answer would be a definite yes. And I would recommend that you get the green tea soba set, because it was the best soba noodles I’ve ever had. The rice with a bit of dried fish (Chirimen) and pickles was also probably one of the best bowls of rice I’ve eaten too. ໒( ͡ᵔ ▾ ͡ᵔ )७ We have a basis for comparison as we visited another soba restaurant for lunch and it didn’t quite measure up to the standards of Tokichi’s green tea soba noodles. Is it worth eating at Nakamura Tokichi in Uji Japan? Upon realising that there was a four hour queue, we thought we would no longer have the chance to eat at Nakamura Tokichi in Ujia. We returned about three hours later to the retail store to purchase sencha, genmaicha and gyokuro for our friends (more to come in a separate post). We decided to check on our status on the wait list, and realised that there was just about 20 people in front of us. We hoped that with the dropouts, we would have a chance to try what the restaurant had to offer. There was ample space at Tokichi for us to wait for our turn in comfortable shade. This was unlike waiting under the hot sun for sea bream ramen in Ginza (Menya Maishi). There was also a nice Japanese garden in front of us – to enjoy the scenery as we waited. It took about 30 minutes more before we were seated. 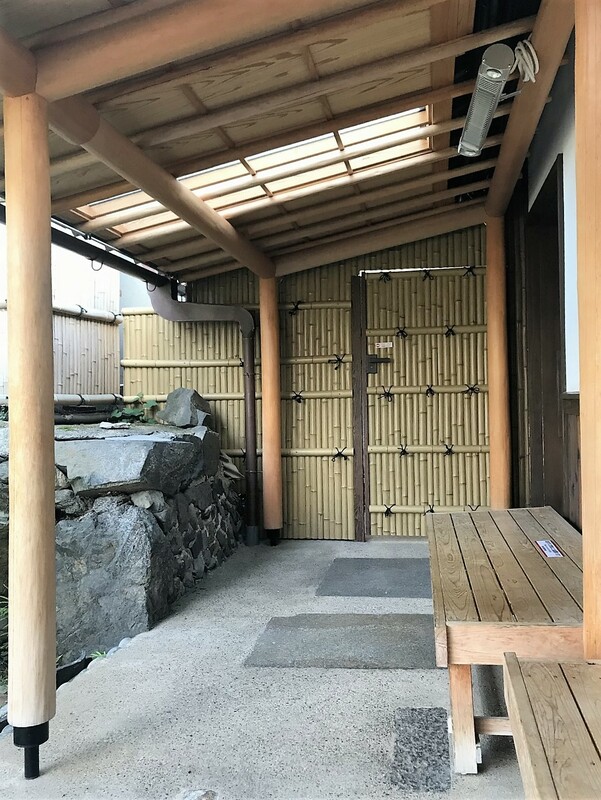 The waiting area – it’s very Japanese. Waiting to enter the restaurant – this was the cooking area. 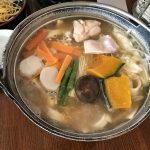 Is it worth eating at Nakamura Tokichi in Uji Japan? How the restaurant looks from the inside. At the restaurant, they served complimentary hojicha which tasted great. 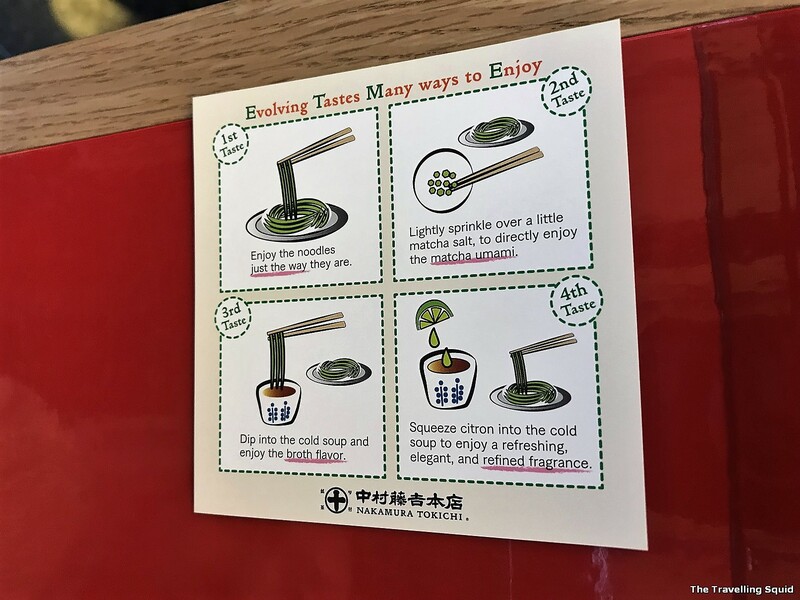 But for teas brewed in the restaurant, I think it’s still better value if you were to purchase the tea leaves from Tokichi and brew them your own, unless you’re a tea connoisseur. 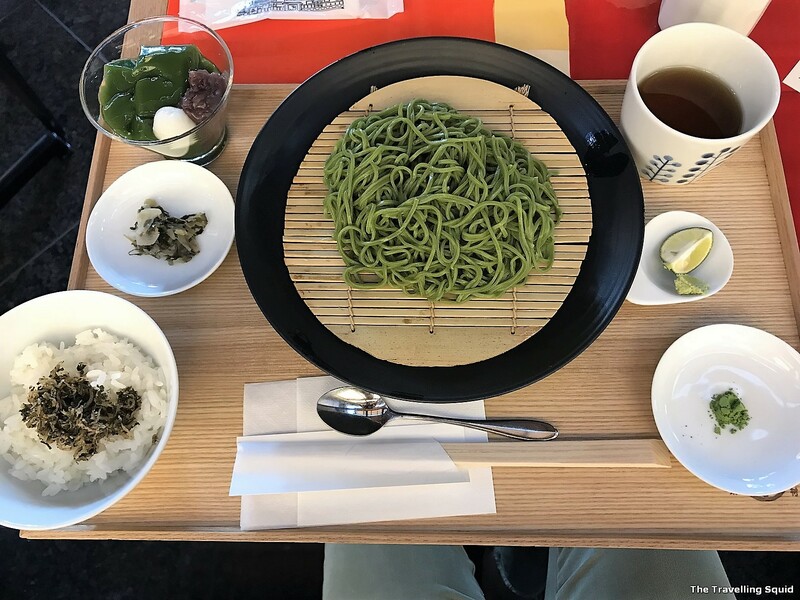 Reason being, it’s hard to prepare the other dishes on your own, like the green tea soba and the various seasonings around it. For the preparation of tea, it seems to be a relatively straightforward process. The various seasonings to be eaten with the green tea soba. First, enjoy the noodles the way they are. Second, lightly sprinkle a little matcha salt over the noodles, to enjoy the umami flavour from the matcha. Third, dip the noodles into the cold soup and enjoy the flavour of the broth. Fourth, squeeze some lime juice into the soup to enjoy an elegant, refined fragrance. 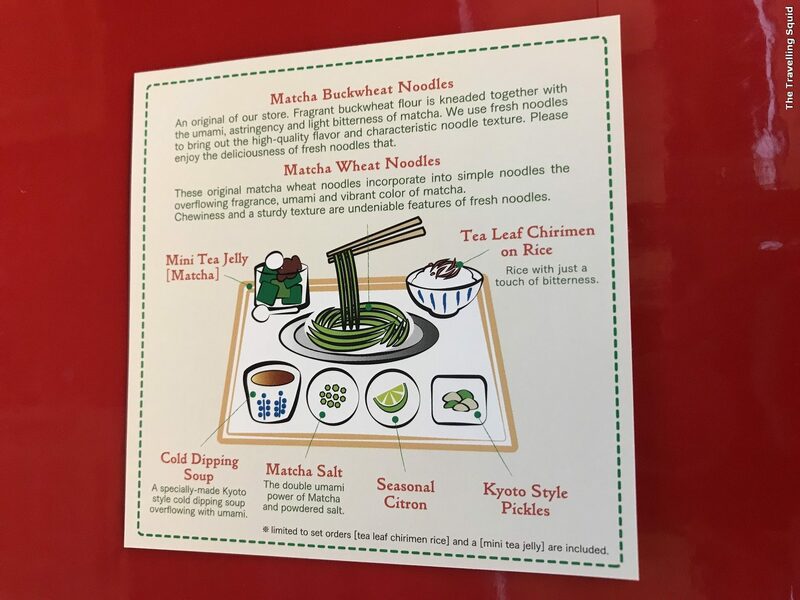 Directions on how to eat green tea soba noodles. Yum. 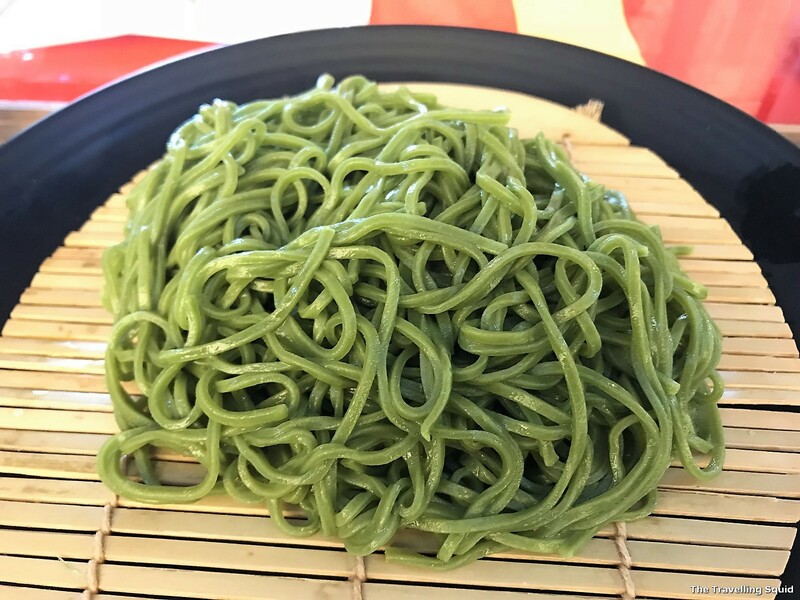 Green tea soba noodles – al dente and of the perfect moisture content. The green tea soba noodles were al dente. They are made with buckwheat flour with added matcha for a slight bitterness. The matcha salt was super flavourful! There wasn’t any bitterness to it. It was the perfect natural seasoning for the noodles. I also liked having the noodles with the broth. It was not too salty, just of the right saltiness to bring out the flavour of the noodles. Adding lime juice to the broth was a good move because it added a little more acidity and sweetness. Who would have thought matcha could be used as a seasoning, and it would be so savory. For an extra kick, I added wasabi in the broth towards the end, for that momentarily spicy note. 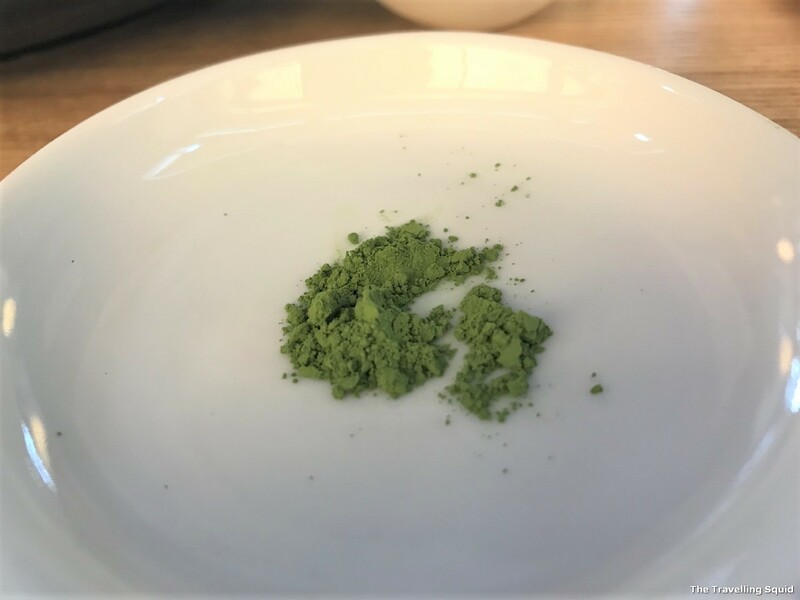 The good thing about wasabi is that even though it gives you a momentary spice kick, it doesn’t have any aftertaste and does not affect the taste profile of the food once that spice kick is over. One of the most delicious bowl of rice I’ve ever eaten. Just in case you’re wondering like I did, Chirimen Jako are semi-dried salted sardines which are used commonly in Japanese cooking. In this case, they were probably fried. 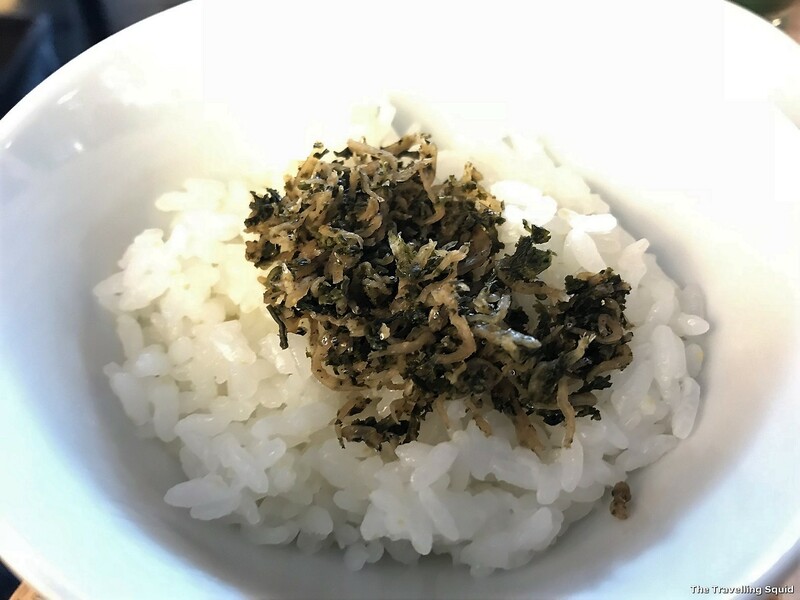 It was really simple – just rice and the sardines and it felt like one of the best bowls of rice I’ve ever eaten (apart from Takenoko Gohan (bamboo shoot rice we had at Kawaguchiko)). Having the rice with pickles was delicious too – the pickles were not too sour. Just sufficiently savory and acidic to gulp down with a bowl of rice. The mochi balls were very al dente. The green tea set also came with a dessert! 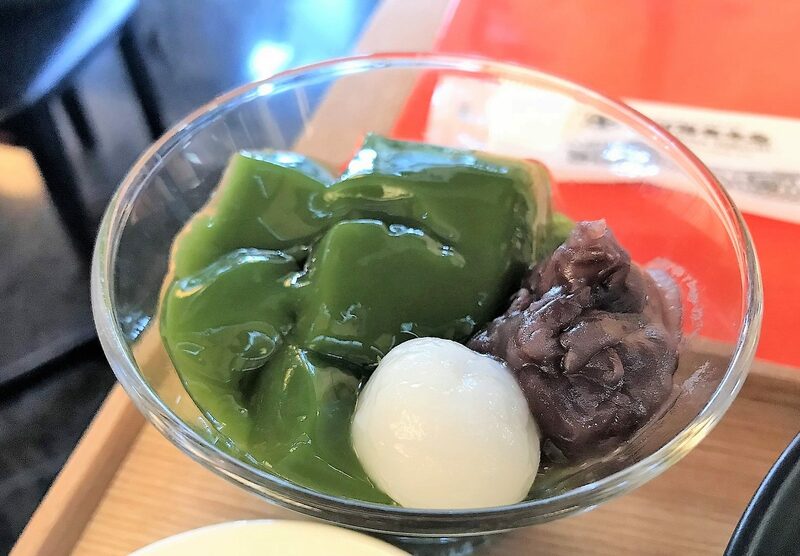 Which was green tea pudding with adzuki red bean and mochi balls. They were of a great chewy texture and a good balance of sweetness and matcha flavours. The colour is quite perfect. 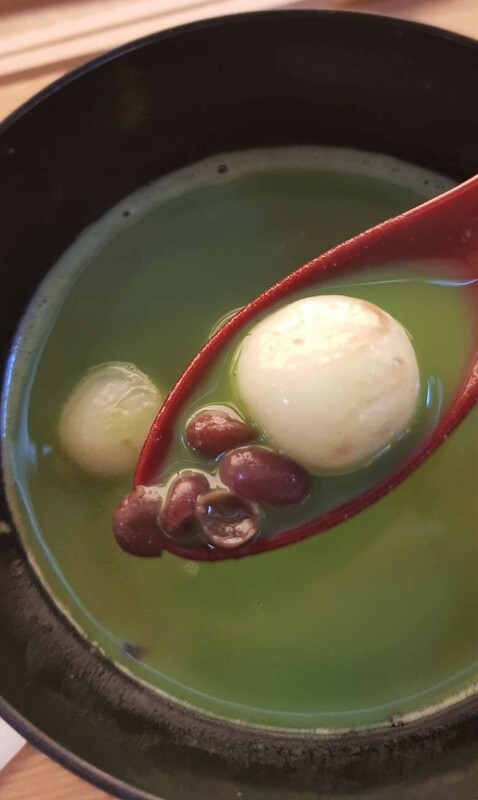 S had a green tea soup with mochi. Which was pretty good too. 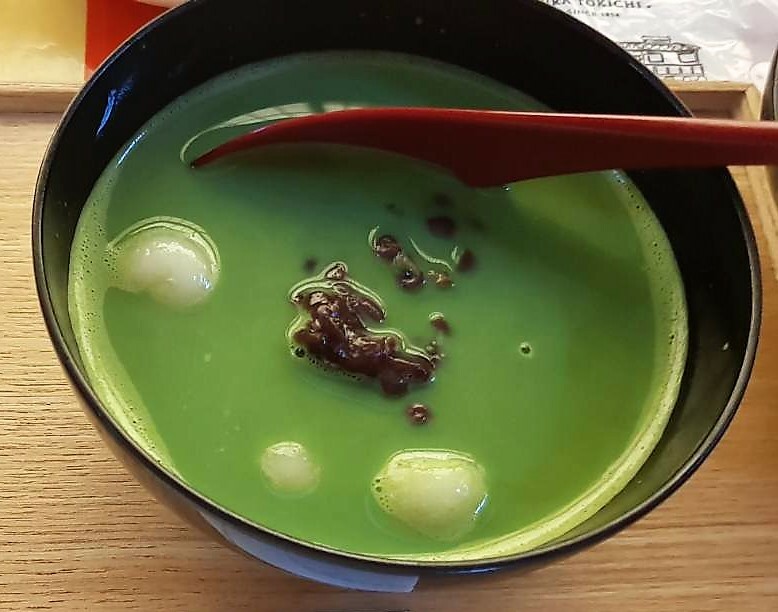 The colour of the green tea soup was a nice rich green. 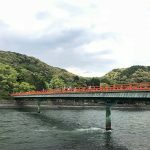 Is it worth eating at Nakamura Tokichi in Uji Japan? 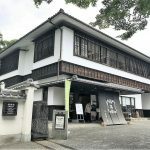 I really enjoyed the green tea soba set there and I think it’s worth a visit, especially if you’re keen to learn more about Japanese tea and food. 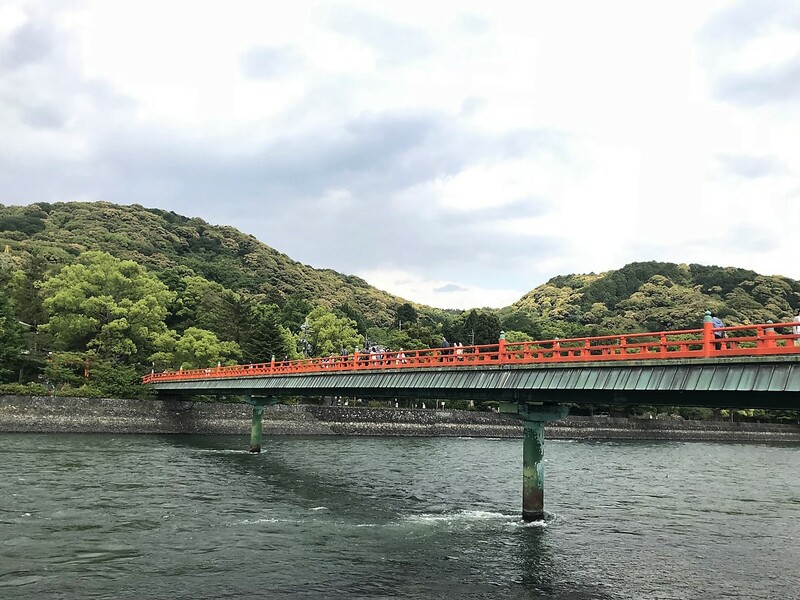 As for the four hour queue, you could put your name down and explore the rest of Uji, before coming back to see where you’re on the list. 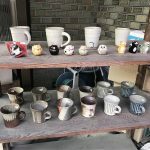 If you don’t have time to visit Nakamura Tokichi in Uji, there are also shops and cafes located in major cities in Japan, including Tokyo, Kyoto and Osaka. 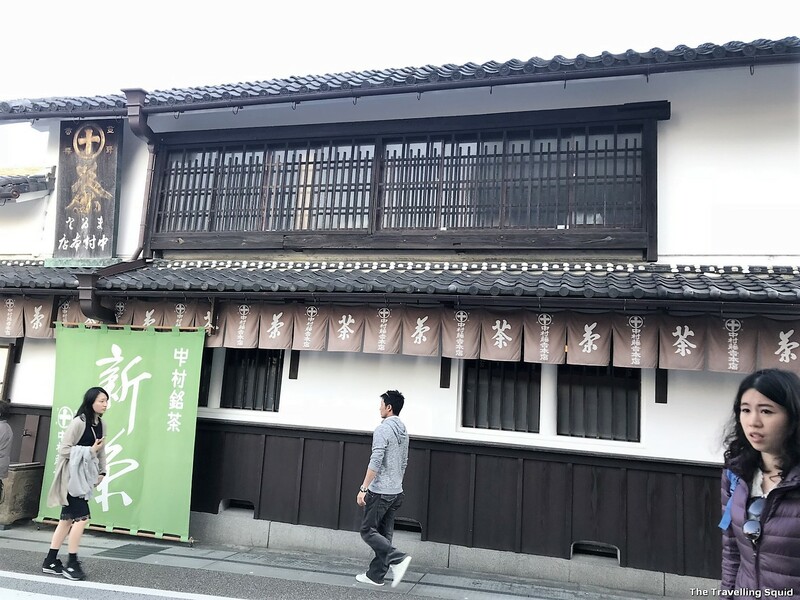 Though visiting the main shop (honten) often offers the most authentic experience. There’s also a shop in Hong Kong but I’m not sure how it measures up. If you have visited it do drop a comment in the box below. Enjoy! Branches: There are other stores in Ginza, Kyoto and Osaka. Also one in Hong Kong! Refer to the website for more information. 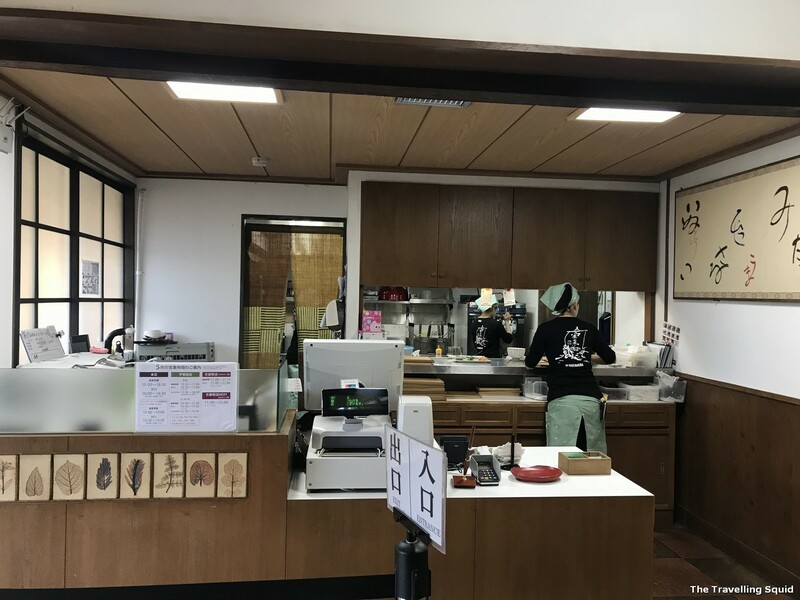 One Response to "The four hour wait – Is it worth eating at Nakamura Tokichi in Uji Japan?"